ORIGINAL NEW BOARD GAME FROM UPPER DECK INTRODUCES NEW EURO-STYLE GAME MECHANICS WITH FRENCH TAROT-SIZED CARDS! CARLSBAD, Ca. 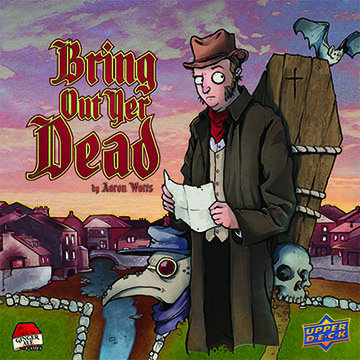 (April 06, 2015) – Upper Deck has announced plans to release Bring Out Yer Dead, a new and original game of morbid family fun. Bring Out Yer Dead is the first non-licensed game offering from Upper Deck, which also introduced the popular Legendary® Deck Building Game, currently on its 3rd reprint and 6th expansion. The new Bring Out Yer Dead game is set in the Victorian era and revolves around families competing for the best grave plots for their dearly departed. Keeping true to the theme, small wooden coffin tokens are used for game pieces and French Tarot style playing cards feature characters such as the grave digger, the grave robber, the fortune teller and the plague doctor. The game uses a Euro-style game worker placement mechanic combined with deck building elements and bidding mechanics, along with a little back-stabbing and treachery for added fun. The pretense of the game is that you (as the player) are in a position to become the potential new head of the family. To do so, you must earn as much influence and riches as you possibly can to solidify your place in the family and in the town. Influence is earned by vying to get the “dying” members of your family into the most desirable grave plots available. 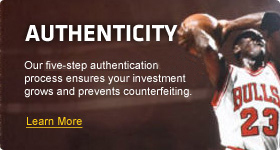 Players bid to get bodies on the Grave Digger's cart by playing cards from their hand. Players can use their cards to switch graves, move opponent’s bodies to less desirable grave plots, dump bodies in the river, rescue bodies from the river or even do a little grave robbing of their own. Bring Out Yer Dead is for 2 to 5 players, ages 14 and older and takes approximately 30-45 minutes to play. The game includes a double sided game board; 98 cards; 65 wooden coffin token pieces; 5 player crests and a color rule book. It is expected to be available in limited quantities at Origins in June, and then from game retailers worldwide at a price of $49.99.